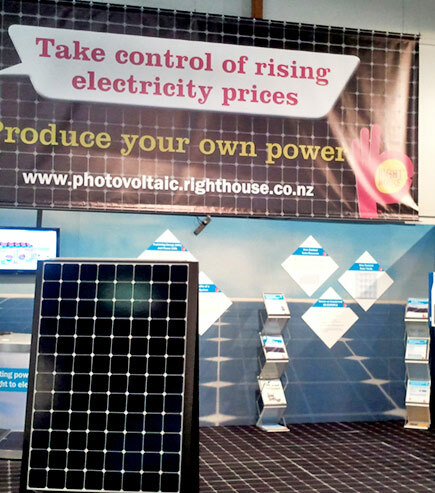 Printed Flooring makes an incredible difference to any exhibition stand. 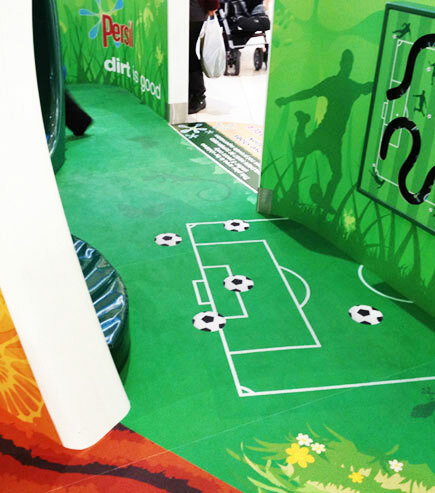 Talk to us about printing onto large sections of carpet or onto 1m x 1m tiles with rubber non-skid backing. Either print the tiles individually or use them to create one large image. 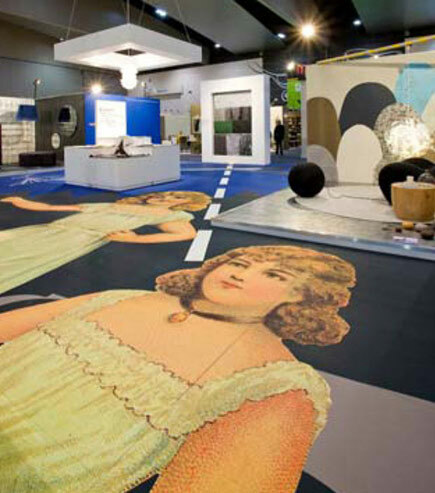 Our custom printed flooring is built tough for commercial use for exhibitions and events. Perhaps you need self adhesive graphics for a hard floor area? No problem, we can produce hard wearing decals, tiles and mats to ensure your stand or event graphics stand out from the rest! 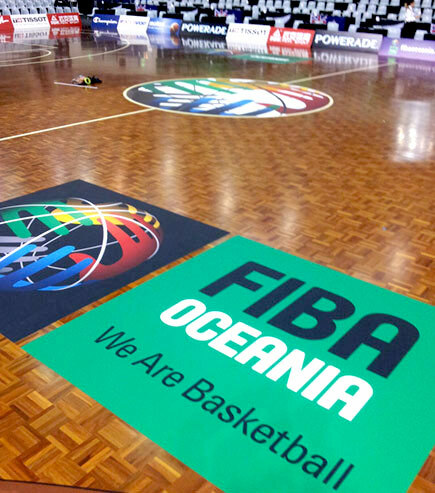 If you’re looking at ways to leverage your brand sponsorship opportunities then take a look at the floor next time you’re at a Breakers game – we created and affixed the floor decals, plus printed a number of the chair covers and court side sponsorship panels. 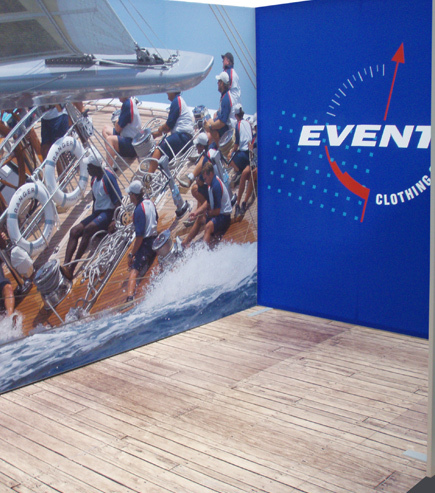 Events clothing exhibit their services both in New Zealand as well as overseas. 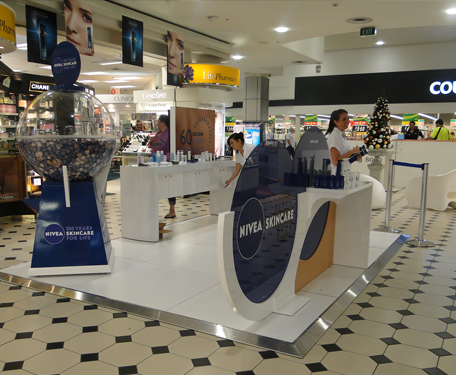 They needed an exhibition solution that could be easily set up, easily transported and would create an impact. 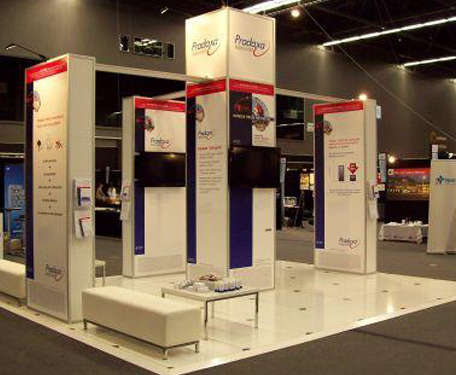 As well as a complete fabric exhibition stand, we also provided Events Clothing with a unique exhibition flooring solution to ensure their stand stood out from the crowd. 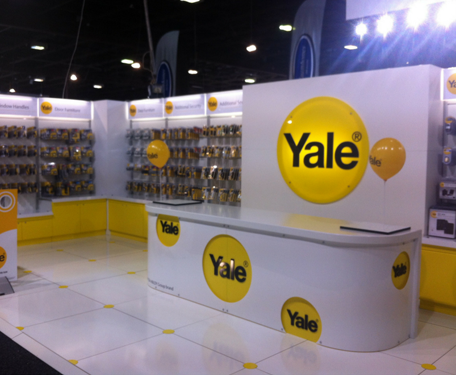 Flooring is often the most overlooked part of a stand, but t’s the details that can transform a stand – for Events Clothing, the branded flooring made all the difference. 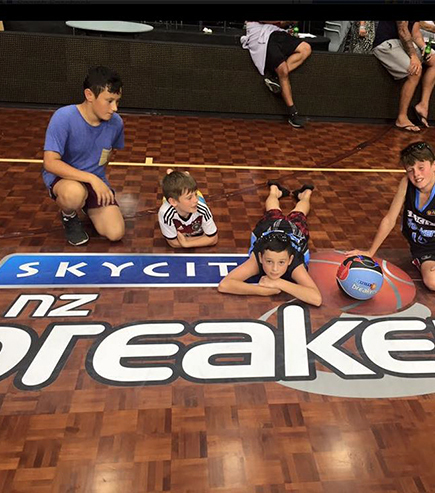 The SKYCITY Breakers are our premiere professional basketball team, competing in the Australian Basketball League. They joined the league in 2003 and play at both North Shore Events Centre and Vector Arena. They are one of only 2 clubs outside of Australia that play in the league. A mixture of courtside, off court and corporate sponsorship products. – Off Court products included Player Banners, Lobby Signs and Flags. 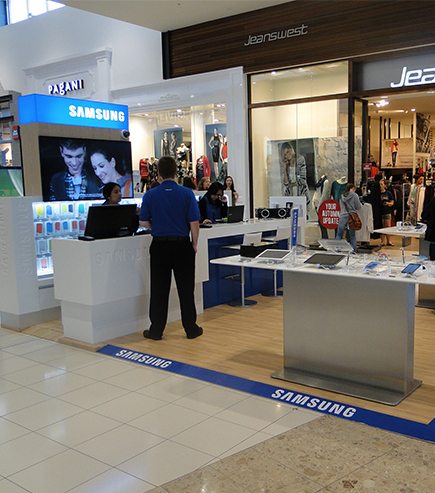 – Corporate Sponsorship & Hospitality included Branded Bar Leaners, Crowd Barriers, Seat Backs and Branded Table Cloths.